Illustrations by A. Christopher Simon 128 pages, softbound, 6 x 9"
Grandfather's Garden has the endearing quality of a classic of a new kind. As with the Harry Potter books, its rollicking stream of quirky tales is for "both little and big folk." That is, it's for "kids, teens, grownups, and for the close, warm delight of reading aloud at bedtime." 282 pages, softbound, 6 x 9"
Author Brandon Wiggins brings a wealth of knowledge of politics, science, nature, and current events to this engrossing and entertaining work of fiction. 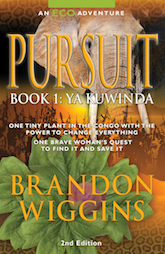 This impressive debut novel combines an appealing heroine, non-stop action, an exotic setting, whip-smart humor, romance, and science for an epic adventure worthy of Indiana Jones. 204 pages, softbound, 6 x 9"
David Loye is an internationally known psychologist, evolutionary systems scientist, and author of thirty books including the national award winning The Healing of a Nation. 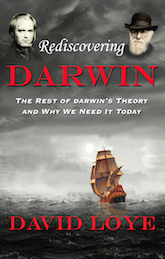 In this new work, Rediscovering Darwin, Loye describes the true Darwin: a visionary moral thinker, not a mechanistic random-evolutionist. This is a groundbreaking book by a world authority on the writings of Charles Darwin. 44 pages, softbound, 6.5 x 6.5"
In 2004 Sharon Mehdi wrote a little story about two grandmothers who stood in the park to save the world. It sold many thousands of copies, it was translated into half a dozen languages, and was trandformed into a play. Now, in 2018, we need the grandmothers more than ever, and their daughters and their granddaughters. 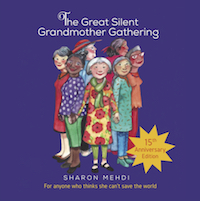 Lucky Valley Press was delighted to re-design and produce this anniversary edition of The Great Silent Grandmother Gathering. 34 pages, softbound, 8.5 x 8.5"
Jacksonville, Oregon is recognized as one of the West's outstanding examples of a nineteenth-century mining and agricultural town. Nearly unaltered by the passing of time, Jacksonville is a living depiction of an era long past. Southern Oregon artist Anne Brooke Hawkins has captured 28 of these historic buildings in pen and ink. 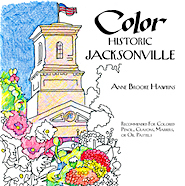 Fun for colorers of all ages, the pen and ink drawings are perfect for for colored pencils, crayons, markers, or oil pastels. 192 pages, softbound, 5 x 8 "
For many, the word alcoholic conjures up images of the person on the street with a brown-bagged bottle. But what about the mom next to you at the PTA meeting? 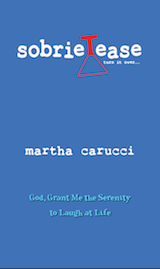 This is a humorous and heartfelt story about a suburban mom's journey through recovery and sobriety into a better life. Read it and weep and hopefully laugh. 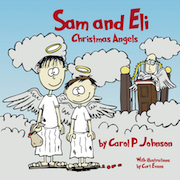 36 pages, softbound, 8 x 8"
Sam and Eli are a couple of errant angels who get into a bit of mischief at Christmastime. This story was told by Carol Johnson to her children, and was lovingly Distributed by them after her death. With illustrations by Curt Evans. 124 pages, softbound, 6 x 9"
Carmel valley, California, has long been known for a wide array of fine restaurants,	and	Shelley's	kitchen	was one of them. 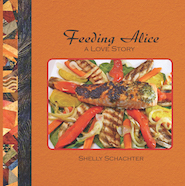 In this ode to his wife, Shelley shares his favorite recipes and his four-color photographs of the meals he cooked for Alice. 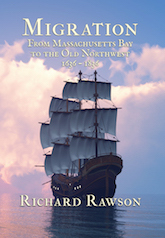 The compelling story of seven generations of the Rawson family, from the governing councils of Puritan Boston in the 1600s to the rich farmlands of southern Michigan two hundred years later. "Migration" brings a fresh perspective to America's earliest western movement. 40 pages, softbound, 6.5 x 6.5"
The world is in chaos. Rancor and retribution rule the day. Greed and fear have been crowned King of All That Is. For many, there seems to be no hope. And yet... and yet... hidden beneath the helplessness and hopelessness there is a glimmer of light, of forgiveness, compassion, kindness or love. Such little words but they can create miracles and make the impossible possible. They can heal lives. And sometimes, whole communities. 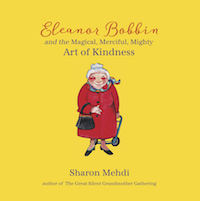 Just ask Eleanor Bobbin. The ultimate source of freedom is faith. But like the most rewarding accomplishments, your faith becomes more profound especially when it is challenged and then affirmed. This penetrating volume of messages from spirit will enable you to reach deep within yourself. 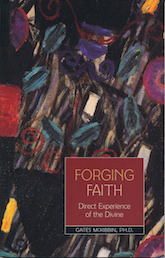 You will discover what tests your faith, what supports your belief in the unseen and how you can sustain the courage to serve spirit throughout your life. S.F.B Morse first arrived on the Monterey Peninsula	in	1915, and fell in love with the pristine forested hills and spectacular Pacific coastline. 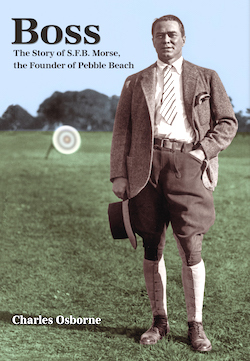 There he created a playground for his wealthy sporting friends and called it "Pebble Beach." This definitive biography is the first time his story has been told. 112 pages, softbound, 5x 8"
In this insightful narrative for therapists and mental health professionals, Chevonna Gaylor models the process of exploring your own personal story to support your growth as a healer. She shares her experiences, hoping you will consider your own. Ideas for clinical application and a processing question are provided at the end of each chapter, to stimulate your thoughts about the content. Even if a book is not primarily intended for retail sales, Lucky Valley Press always recommends purchasing an ISBN and acquiring distribution through online book vendors. The book can then easily be purchased by family and friends at any time in the future. 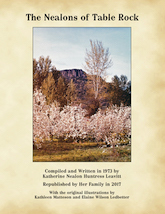 In 1973 Katherine Nealon wrote and compiled a history of her ancestors, who homesteaded in Southern Oregon in the 1880s. Lucky Valley Press created an exact replica of the original hand-illustrated typed manuscript. 134 pages, softbound, 5 x 8"
Sally Latimer knows that "the cost of great love is grief." 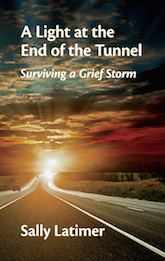 In her memoir, A Light at the End of the Tunnel, her grief is expressed and her survival clearly addressed. She hopes by writing this book she can bring hope to others who are suffering, and to let them know there is help "out there." 116 pages, softbound, 6 x 9"
The book's subtitle says it all: "An escape from Nazi-occupied Europe during WWII A story from a father to his children based on real life incidents." 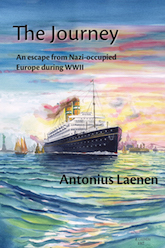 Laenen tells the heartfelt story of his family's journey from Europe to the USA to escape the Nazis. All material on this website is Copyright © 2018 Lucky Valley Press unless otherwise noted.